In 1822, Judge Benjamin and Elizabeth (Barton) Parke, along with their two young children, moved to the east side of the Salem Square from Vincennes. The couple would quickly become very influential members of the community. Benjamin was the United States District Judge of Indiana, appointed by President Madison, from the onset of Indiana’s acceptance to the Union, in 1816. He had also been a member of the Territorial Government, was intimate friends with William Henry Harrison and was an instrumental figure in the founding of our state. Parke was born on September 2, 1777, in New Jersey and was raised on a small farm. He received a limited education in the local schools and was largely a self-taught man. At the age of 20, he migrated to Kentucky, settling in Lexington, where he became fast friends with Henry Clay and James and Samuel Brown. He began studying law under the tutelage of James Brown, the former U.S. Minister to France, and in a short time he was admitted to the bar. 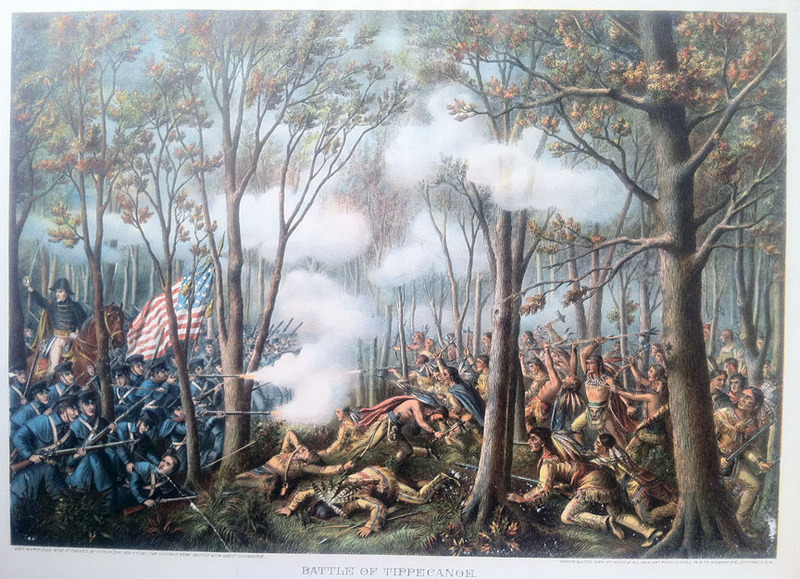 In 1800, Benjamin was united in marriage to Elizabeth Barton, in Lexington and the following year the newlyweds crossed the Ohio River, relocating to Vincennes, the capitol of the Indiana Territory. Here they built a log home, of heavy, hand-hewn timbers and filled the gaps, with mortared bricks to make it bulletproof, in case of Indian attacks. Being a great proponent for the opportunities of advance education, Benjamin was an instrumental member of the original Board of Trustees, for the founding of Vincennes University, in 1801. He had soon opened a law office and in 1802 was granted a license to practice law in the territorial courts, by Governor Harrison. The two men had become quickly acquainted, after Parke’s arrival, and soon became close friends and confidants to one another. 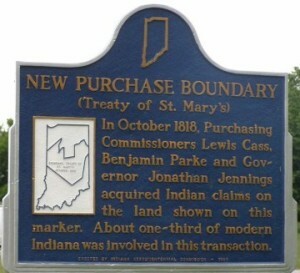 By the following year, Parke was appointed an Indian Agent for the federal government and would bear witness to numerous treaties signed between the Indiana Indian tribes and the government, between 1803 and 1809. In August of 1804, Governor Harrison appointed Parke, Attorney General for the Indiana Territory, a position he would hold until 1808. Benjamin was also a member of the first Territorial Legislature, which held its inaugural meeting in Vincennes, in July of 1805. The representatives there elected Parke as the territory’s first delegate to Congress, another position he would hold, until 1808. He relinquished both of these appointments, in April of 1808, when President Thomas Jefferson selected Parke as the Judge of the General Court of the Indiana Territory. Parke would serve in this capacity until the formation of the state government in 1816. During all of his years of judicial service, he traveled everywhere he was required to go by horseback, and was known for taking peculiarly circuitous routes. Such as the one he would take to get to Richmond, in Wayne County, where he would leave Vincennes, ride along the Ohio River all the way to Lawrenceburg and then ride up the Whitewater River. At his first trial, in that county, he presided over a court in the open forest, sitting upon a log. A young man had stolen a 25 cent pocketknife from the general store and Judge Parke traveled all the way from Vincennes to try this, the only case on the docket. Also in the year of 1805, Governor Harrison commissioned Parke, as a Captain, in the Indiana Militia, and was said to have placed special trust and confidence in his close friend. 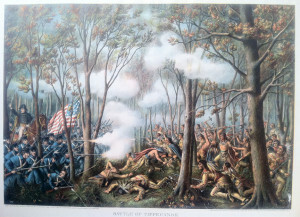 Parke proved his worth at the Battle of Tippecanoe, in November of 1811, where he was initially placed in command of a company of Light Dragoons. When the gallant Major Joseph Daveiss was killed in the action, Parke was promoted to the majority, in command of the cavalry and was said to have distinguished himself with his great acts of bravery. In 1816, Judge Parke was elected a delegate, representing Knox County, to the Constitutional Convention at Corydon, where he took a leading role in the deliberations and was among the many leaders, who in the heat of the day, would lead their various committees outside to the relative relief of the shade from the giant elm tree. 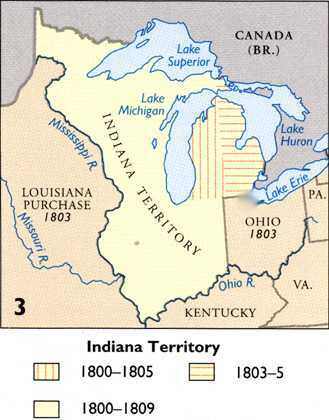 The delegates adopted the constitution on June 29, 1816 and Indiana was admitted to the Union, on December 11, 1816. 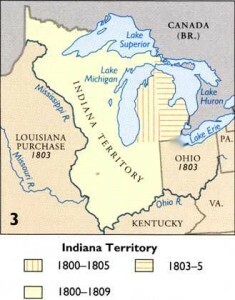 In 1818, Benjamin Parke was appointed one of three United States Commissioners, along with Governor Jonathan Jennings and Lewis Cass to negotiate the Treaty of St. Mary’s, in Ohio, with the Miami Nation and five other tribes, which inevitably ceded all the lands making up the central part of Indiana, or what today is about 1/3 of Indiana’s land mass. When President James Madison approved our state’s admission to the Union, he appointed Benjamin Parke, the first United States District Judge of Indiana. He was serving in this capacity when he moved his family to Salem, in 1822, the very same year Parke County, Indiana was named in his honor. In a short time after their arrival, the family relocated from the public square, a few blocks to the north, into a two-story brick home that had double doors which opened onto North Main Street. Judge Parke was reputed for having the largest personal library in the county and many argued the largest in the state, packed with standard works of law, history, philosophy and classic literature. Local histories describe their home, on North Main Street, as the center of culture and refinement for the community, perfectly ideal in every detail and Mrs. Parke was described as being the consummate, gracious and congenial hostess that everyone adored. Judge Parke took a great interest in everything that was calculated to make people wiser and better, quickly assuming a role on the Washington County Board of Education, with Jonathon Lyon and Beebe Booth. He took a particular interest in the early, noted Salem educator, John I. Morrison, of the Salem Grammar School, conducted in the little brick structure on College Avenue that would later become the birthplace of John M. Hay. He was a member of the driving force responsible for the construction of the Salem Seminary, located at the corner of Hackberry and College Ave. and the appointment of Morrison as the headmaster. When the school opened for operation in the fall of 1828, the Parke’s two children, Sarah and William, were among Morrison’s first students. Benjamin frequently entertained distinguished guests from abroad, at his home in Salem, and would always invite them to visit and observe the instruction at the seminary. Some of those well remembered were; Governor Jonathan Jennings, Governor William Hendricks and General William Henry Harrison. Everywhere Parke traveled, he never failed to publicly sing the praises of the Salem Seminary, and deserved a large share of credit for the early success achieved by that institution. Morrison, who was later elected Indiana Treasurer, described Parke in the following manner, “His dignified appearance impressed me with awe and reverence. He looked so much like a great philosopher, such as my ideals of Socrates and Plato, and I grew to admire him, much as I did them. I soon felt as if I had found a second father, one whom I could not help but love and venerate. In all matters concerning my career and school he manifested the liveliest interest and could not have done more for me if I truly were his son.” In 1833, Morrison would in fact name his newborn daughter, Sarah Parke Morrison, who would later become the first female graduate and faculty member of Indiana University, in honor of the Parke’s daughter, Sarah, who passed away before she was twenty. In 1825, when Sarah Parke was just 15 years old, she accompanied her father to Jeffersonville to see General Lafayette, during his visit to America, as the last living general of the Revolutionary War. During the celebration, a young merchant from Louisville, named Abram Hite became fascinated with her and began courting young Sarah. A short time later, with her parents consent, the couple married and soon had a baby boy, they christened William Parke Hite. After Sarah died unexpectedly at such a young age, Elizabeth Parke traveled to Louisville and claimed her grandson, bringing him back to Salem to raise alongside her son, William Barton. Barton, as he was familiarly called, was born in 1817 and was described as being delicate in his nature, but bright, studious and talented. As previously mentioned, he was enrolled in the Salem Seminary, and was said to have been showing great promise in his college preparatory classes. He frequently accompanied his father, on his horseback excursions into the country, to attend to his judicial responsibilities and was gaining a wealth of experience and observation through these travels. Unfortunately, when the cholera epidemic hit the area, in 1833, 15 year old William Barton’s life was claimed from the disease on June 30th. A few days later, on July 4, cholera claimed the Parke’s only grandson, William Hite and the aging couple were left completely childless. Despite the devastatingly sad tragedy, Elizabeth Parke, continued assisting other in the community who were struck with the illness until the emergency had passed. After Indianapolis took the role of the state capital from Corydon, in 1825, Judge Parke became influential in the early years of that city’s founding. Much as he was the driving force behind the establishment of the Vincennes Public Library, in 1806, Parke helped to establish the city’s Law Library and along with another prominent Salem pioneer, John Hay Farnham, he was an essential member of the group of men, who at such an early date, saw the historical importance of what they were personally involved in and founded the Indiana Historical Society in 1830. Benjamin was named the organization’s first president and led the group though its infancy to a prominent standing in the state. Sometime in his 50’s Benjamin likely suffered a stroke, as he was stricken with paralysis down the right side of his body, completely losing the use of his right arm. The old judge did not let this deter him, he quickly taught himself to be left-handed, still writing with elegance and dispatch. Likewise, this did not stop Benjamin from attending to all of his many responsibilities, all over the state, continuing his trips, despite the disability, on horseback. He had been struggling with tuberculosis for many years though and passed away, in their home on North Main Street, on July 12, 1835, surrounded by his grieving wife and close confidants, Professor John I. Morrison, Barnabas Coffin Hobbs and Professor David Campbell. He was interred in the Crown Hill Cemetery, in Salem. Although he never committed to any particular religion, he was unarguably Christian and would ride his horse three miles east of Salem, on the Sabbath, often times with Lt. Governor, Christopher Harrison, to attend the Society of Friends meetings at the old Quaker Church. His wife, Elizabeth, would continue to live out her life in Salem for another 22 years, leaving her endearing mark on the community that familiarly called her, Aunt Betsy Parke. Many glowing accounts of Judge Parke were given, by notable individuals, at the time of his death, to his significance to the founding of the state, his promotion of education and historical preservation, his humility and honesty, his tremendous benevolence towards the young, the poor and the wayward and to his determined dedication of service to the citizens, government and country, to which he belonged. Looking through historical hindsight, Judge Benjamin Parke, should truly be memorialized as one of the founding fathers of Indiana. The Stevens Museum at the John Hay Center, in Salem, has a small display honoring Judge Parke’s accomplishments, featuring one of the judge’s favorite old desk chairs, in the early lawyers exhibit, in the Main Gallery.